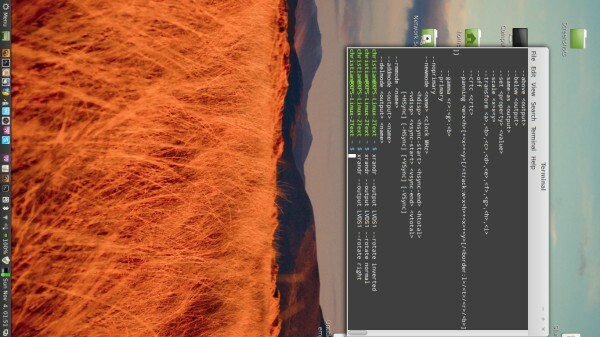 Just as in Windows you have the option to rotate your screen into any direction in Linux, too. While in Windows you only need to press some keys, a key combination is not configured in Linux by default. But as you may have figured out, there are some terminal commands that let you do the exact same thing (you can configure shortcuts for these manually later on). Replace LVDS1 with your monitor label in the above commands and you'll be able to rotate the screen to your likings! This is especially helpful if you need to go through documents and can turn your physical monitor around. thank you. but i have one correction. instead of –output & –rotate use –output & –rotate (two hyphens). I’ve tried this, but it dosen’t work for me. But next time that I start my computer, it is again in landscape mode. So now I must rotate the monitor every time to start the terminal mode, enter this instruction and rotate the screen back into vertical position. How can I set the preferred rotation permanenty? Put it in the startup menu, same command, listed as a program. it works, rotated the screen to the left. but now my mouse movements are strange. up is left, down is right, etc. it is a mesh! how can you keep a well working mouse? Why not just click on [System Settings], then [Displays], then [Rotation] and pick from the pull down menu the orientation you want the display to display as? All do have different problems…… man! Its not that always easy. Hello, my hp pavilion x360 suddenly have vertical rotation just from login. In grafic mode I change orientation as normal, but just next start system orientation again vertical. How I can fix it? Which OS are u using? This is SO funny at work. It took me 30 secs to mirror (-x) the screen when my co-worker went to the bathroom. Really baffled about how to do this for an ASUS T100 Transformer 2-in-1 with Linux Mint 17.x, and now 18.3. It seems to have a “native” portrait orientation of 800×1280. Once I got it set to always rotate to landscape at start-up with Mate menu, Preferences/Displays, that was good . Option "Calibration" "4121 -15 38 4157"
Copy pasted the "Section" settings as shown into that (new) file, and it was good to go from there on (through 3 reboots so far…).